Sulk Station is an electronic/triphop duo from Bangalore formed by Tanvi Rao and Rahul Giri in 2009. Their music is driven by Tanvi Rao’s sultry vocals wrapped in a haze of atmospherics, minimal beats and homegrown synth sounds. 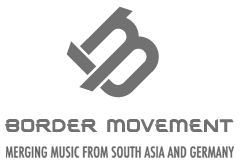 Their songs are a mix of contemporary electronic genres (trip-hop/post-dubstep/ambient) with traces of Indian classical music.